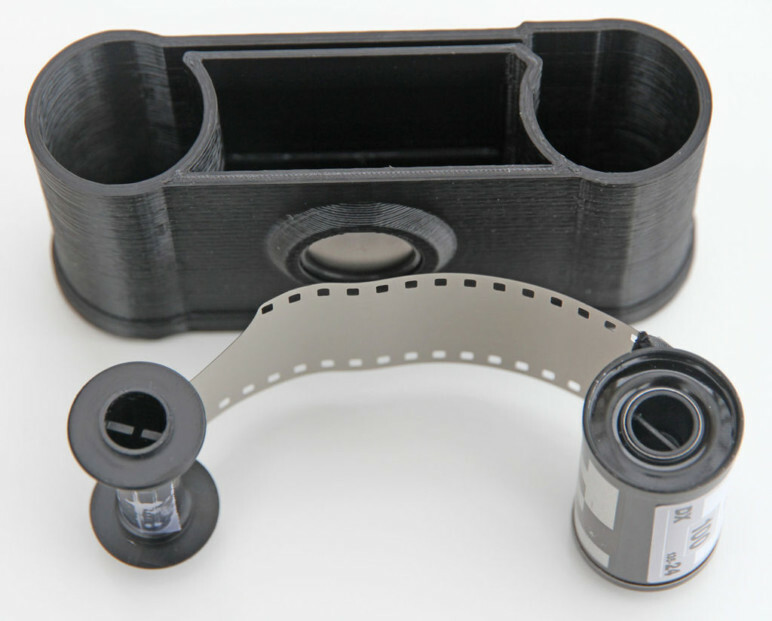 3D Printed Camera – Is It Possible to 3D Print a Camera? The prospect of making a camera using a consumer 3D printer seems silly. After all, accurately capturing light is a delicate affair, right? Find out as we explore the possibility of a 3D printed camera. Even those of us who don’t know the first thing about photography know that cameras are delicate instruments. The most common kind of cameras these days — that would be smartphone cameras — are tiny and have electrical components. It would be a stretch to think such an instrument is 3D-printable. And the next most well-known camera type, DSLRs, clearly have glass lenses and lots of tiny buttons. They’re also outside the reach of the glorified plastic-droolers that we know of. But the reality is you actually can 3D print an instrument capable of taking photos. To properly unwrap that, we first need to understand some photography basics. Why? 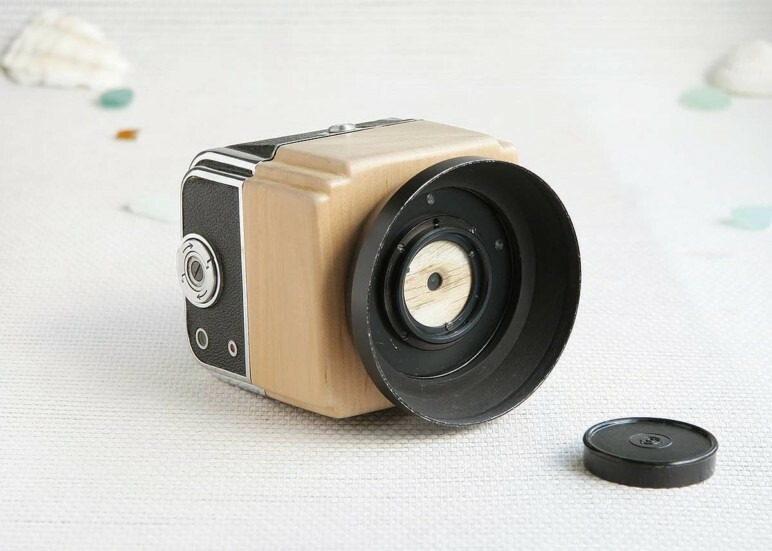 Because 3D printed cameras do take pictures, but they’re nothing like the cameras most of us are familiar with: they’re pinhole cameras using photosensitive film. Most modern cameras in use today are digital, using electrical components to capture the visual information that make up an image. Digital photography is beyond the scope of this article, so let’s take a step back and examine an earlier method: film photography. Film photography is one of the first ways we started capturing images for later viewing. The key component in film photography is the film: a photosensitive strip of plastic on which the image you capture is “burned”. Of course, it’s not as simple as holding up a strip of film in the direction of the scene you want to capture, but it’s actually not very far from what happens in one early camera setup: the pinhole camera. A pinhole camera is quite simple: It’s just a light-proof box with a very small hole on one end and a strip of film on the other. Light enters the box through the tiny hole and reaches the film on the opposite side, storing the impression of the scene you’re pointing the camera at. That’s how a 3D printed camera works. Of course, there are some minor details to pay attention to, like the distance between the hole and the film and the duration for which you expose the film (how long you uncover the hole). 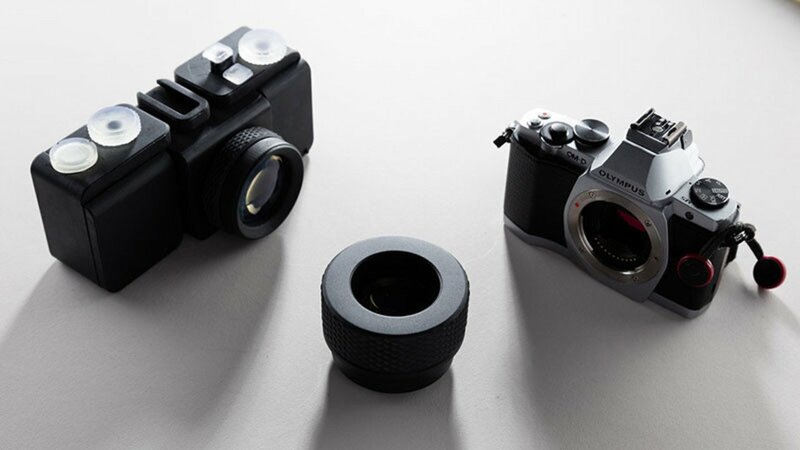 But that’s basically what a 3D printed camera is — a pinhole camera. 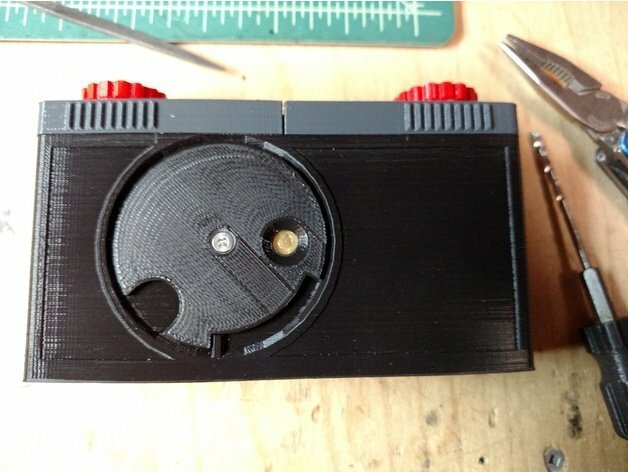 Let’s use a popular 3D printed camera design as an example: the terraPin OSKAR Lochkamera by Thingiverse user schlem. The structure is simple: There’s a movable “shutter”, which covers or uncovers the hole and briefly allows light to pass through and land on the strip of film waiting on the opposite end. All you need to do is load a strip of film into the body, and you’re ready to start capturing images. No electronics required. After manually uncovering and covering the shutter to take a picture, you simply turn a knob on top of the camera to move the strip of film along so that you can capture another image. The results are rather impressive given that the entire setup costs a fraction of the cost of a conventional modern film camera. In fact, you can even go pretty far if you step up to industrial SLS machines. 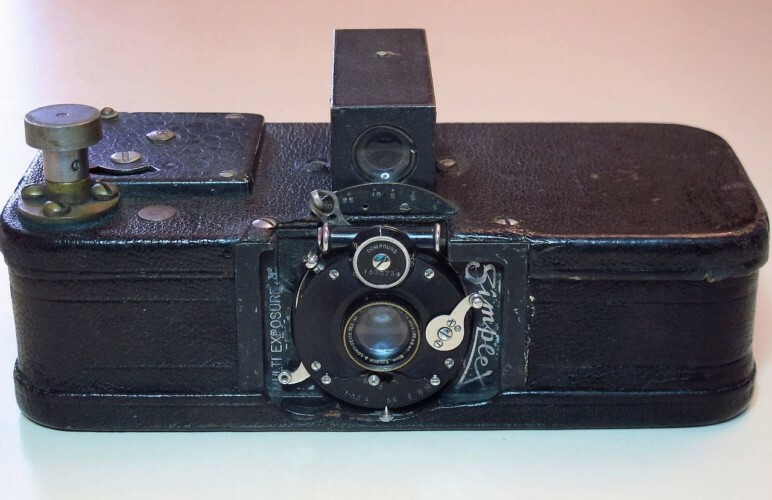 One issue is the nature of the shutter mechanism. Its operation is manual in most printable cameras and is thus inconsistent. The length of the “click” — the amount of time that light is exposed to the film — has an enormous impact on the quality of that image. In pinhole photography, exposure times are usually long; you need to leave the shutter open for a significant length of time. This means moving subjects reflect light from multiple locations, resulting in the film storing multiple impressions of them throughout their movement. This phenomenon is called motion blur, and it’s even used intentionally for some artistic effects in digital photography. In pinhole photography, however, it’s just part of the process. 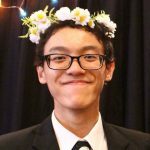 If you’re a digital native, you probably have limited experience with modern film cameras as it is. Using a simple pinhole camera, where the film is manually moved along, poses a fatal threat: You could take a picture on the same strip of film twice, either by winding the roll of film the wrong way or by forgetting to wind it at all. This would cause you to lose both images you capture. If you happen to be stuck on a desert island with nothing but a Formlabs Form 2 3D printer, and you’re just dying to document your experience by taking some pictures, you’re in luck. In fact, you’ll even be able to cook up something with interchangeable lenses! The man you have to thank for this possibility is Amos Dudley, an engineer at Formlabs who designed and created the world’s first interchangeable-lens, 3D printable camera. There’s an entire series of articles written about the technical aspects of this project, which you can dive into if you’re craving the details. In essence, this is the closest you’ll get to a modern camera if you insist on 3D printing it. This instrument even has a mechanical shutter mechanism, an aperture, and a 3d printed lens that’s optically capable of photography. That lens alone is pretty impressive; it was one of the most difficult parts to get right in the design process. Sure, this camera is much more advanced than the more common pinhole variants we mentioned earlier, but you can only produce it using SLA machines, because of the transparent nature of the lens and the degree of accuracy needed for the parts in general. There are few documented attempts of the general public attempting this build on a more affordable non-Formlabs machine, let alone Formlabs printers, because of the labor required to make the lens alone. In other words, this build isn’t super accessible. It’s more of a proof-of-concept than a design intended for the masses. But if you’re stuck on a desert island and you need a camera, it’s not like you have better things to do, anyway. Might as well give it a go. 3D Printed Camera – Fact or Fiction? You Can, but Should You? As you can see, it’s technically possible to produce an apparatus capable of taking photos using a 3D printer. The practicality is certainly questionable if your goal is photography, but with an education focus, such a project makes a lot of sense. After all, printing one of these camera builds and putting it together yourself is a great hands-on, traditional way to learn photography. No matter what drives you to 3D print a camera, you will certainly be able to appreciate just how flexible 3D-printing as a process really is while you’re making it. 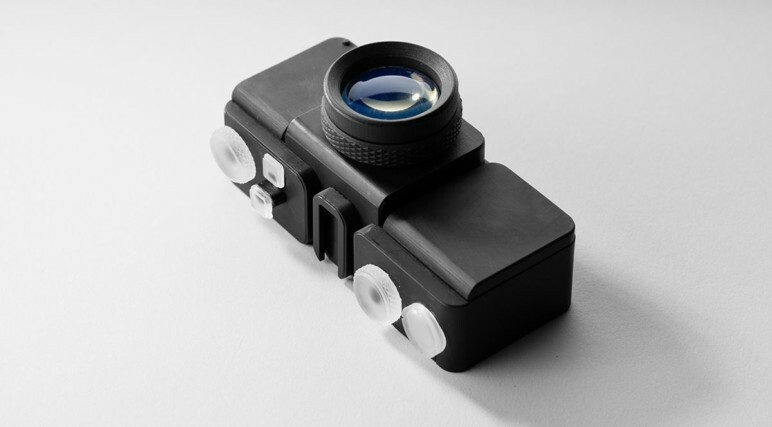 License: The text of "3D Printed Camera – Is It Possible to 3D Print a Camera?" by All3DP is licensed under a Creative Commons Attribution 4.0 International License.